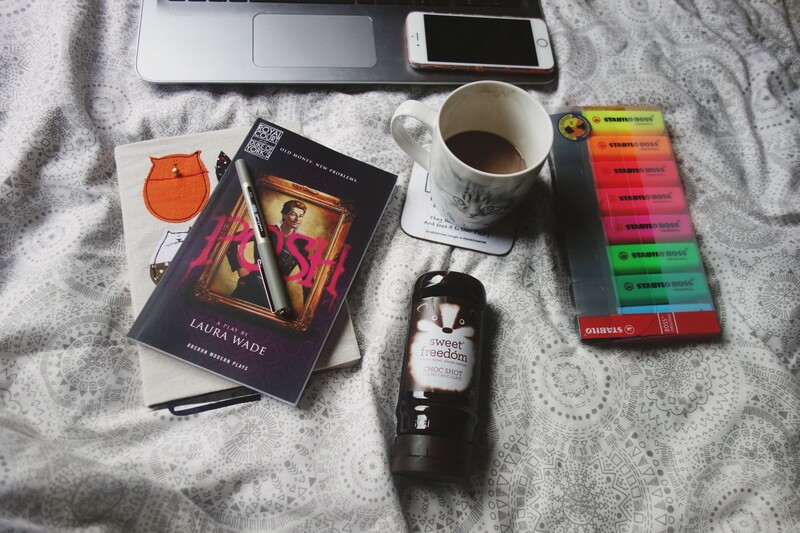 If you’re a hot-chocaholic (is that even a word?) 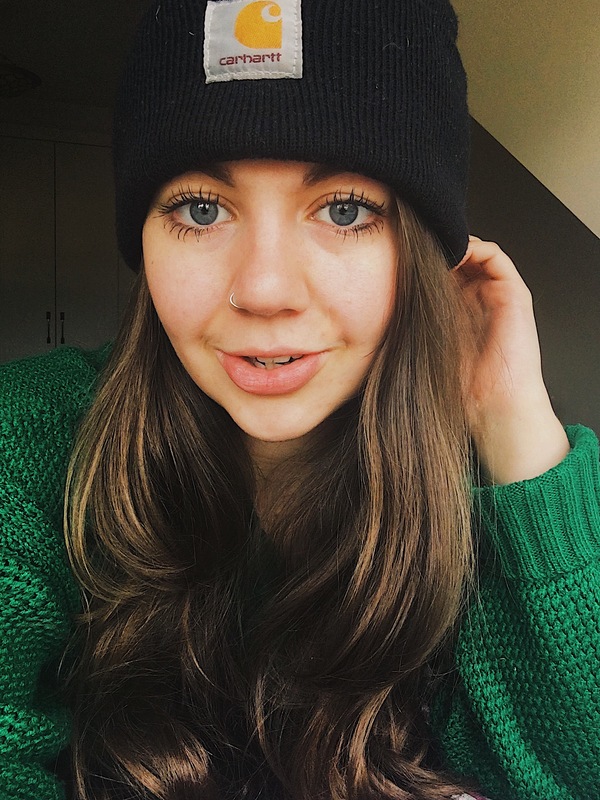 like myself, and you’ve embarked on a vegan lifestyle, or are trying to cut dairy out of your diet, then you bloody well know how difficult it is to find a hot chocolate that caters to your needs. 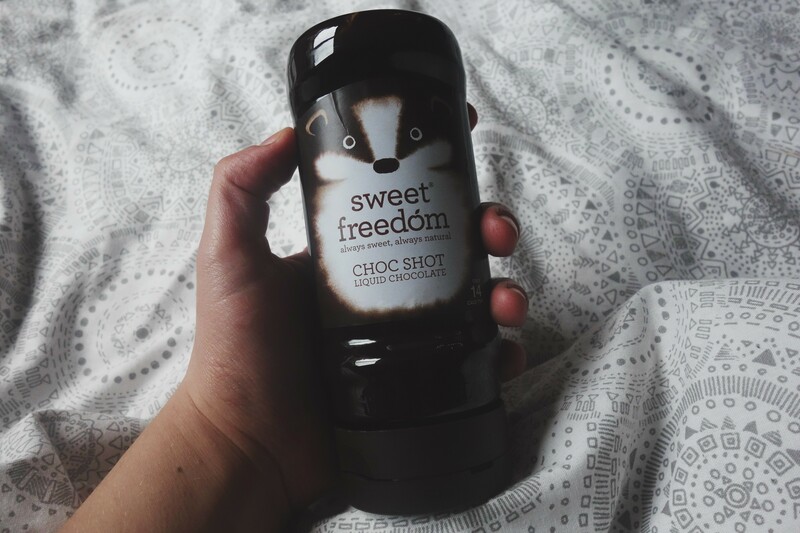 As if by magic however, my prayers have been answered and a vegan hot chocolate alternative has been showered on me from the heavens, in the form of Sweet Freedom’s ‘Choc Shot’. Opting for the original Choc Shot, (I’m itching to get my hands on the Orange Spice and the Coconut flavours, now!) 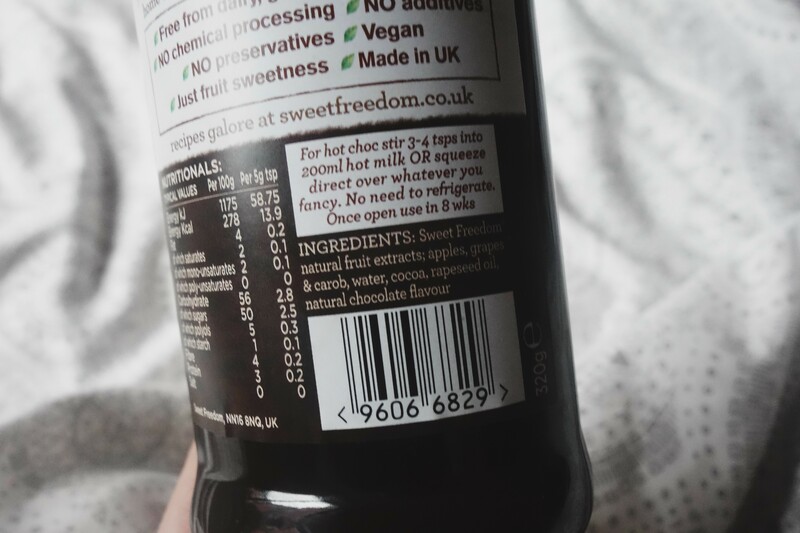 I found the liquid chocolate to be easier to make than my usual go-to Cadbury’s (nobody likes the gritty, bubbly bits of powder sliding around the top of their favourite mug, do they?) and the taste far more poignant and strong. Dropping three (or four if you like your hot chocolate super chocolaty) teaspoons into my hot soya milk on the hob turned the milk a gorgeous light brown and tasted absolutely divine once slightly cooled! And, with only 14 calories a spoonful and 95% fat free, you literally cannot go wrong. 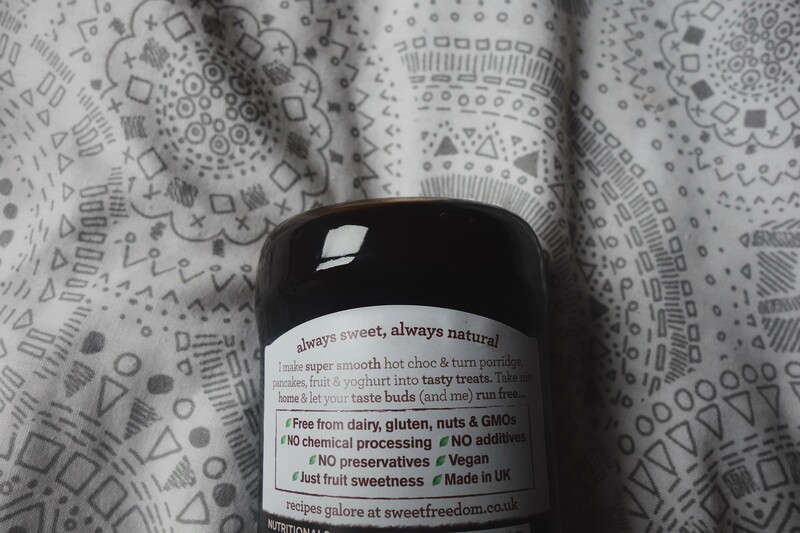 As well as acting as a hot chocolate, the “always sweet, always natural” Choc Shot doubles up as chocolate sauce for your porridge or frozen yogurt, if you fancy treating yo’ self. The Choc Shot not only caters to vegans and. vegetarians, but also to those with a gluten allergy and nut intolerances, while also boasting the fact it contains no GMOs. Alongside this, the ingredients of my current favourite food (Food? Drink? Substance?) are simply: fruit extracts (apples, grapes and carob); water; cocoa; rapeseed oil and natural chocolate flavouring. Winner, winner, nut roast dinner! 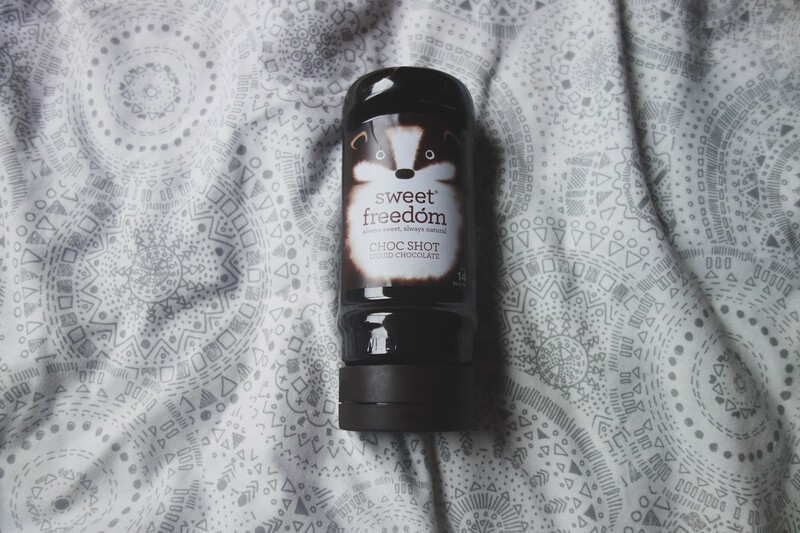 So, if you’re looking for something to tantalise your tatsebuds without having to upset your moral code, or are pretty much just looking for a new hot chocolate product to try, the Sweet Freedom Choc Shot range is definitely, 100% for you!